Are you considering a metal roof for your home? Metal makes an excellent roofing choice, providing superior durability and timeless style. If you want quality metal roofing in Berlin and Cherry Hill, NJ, call Airborne Roofing at (856) 662-1382 ! Metal Roofing is Available in Many Styles and Colors! Not just for barns and warehouses, metal roofing has become a preferred choice for many homeowners. Metal offers many advantages over traditional shingle roofing, but it is more costly because it is a premium material. That being said, metal roofs tend to last twice as long as your typical shingle roof, sometimes even longer. This makes them a worthy investment in your property, especially if you plan on living in your home for many years. A few of the top advantages of metal roofing is its excellent durability and energy efficient properties. Metal can withstand years of rain, high winds, large hail, and more, even fire and thermal shock. Plus, it is extremely low maintenance! One of the best benefits, though, is metal’s reflective and insulating properties. On a hot, sunny day, your metal roof will reflect rather than absorb the heat from the sun, keeping your home cooler and lowering your energy costs. In the winter, metal roofing helps hold heat inside your home, keeping you cozy. 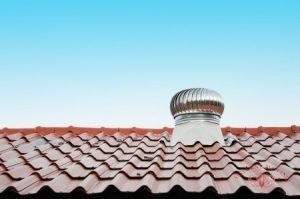 With heating and cooling costs making up a significant portion of your home expenses, an energy efficient roof system can make a significant impact. Many homeowners think metal roofs are loud or prone to rusting. However, our roofers make sure to install your roof with the proper insulation to dampen sound, and a protective coating will reduce rust. If you have questions about our metal roofing in Berlin and Cherry Hill, NJ, give us a call! If you’re looking for a professional roofer to install a metal roof for your home, look no further than Airborne Roofing. Our crew has extensive experience in metal roof repair and installation. From restoring worn roofs to replacing damaged ones, our roofers do it all! Contact us today at (856) 662-1382 if you have any questions about our metal roofing in Berlin and Cherry Hill, NJ and the surrounding areas. Updated on September 21, 2018 at 2:39 pm by Airborne Roofing.